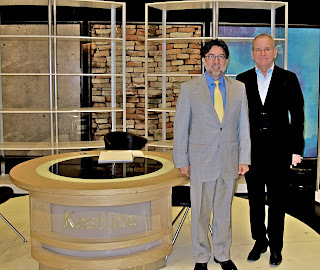 During a visit to the National Broadcasting Company (RUV), I had the opportunity to learn about the uniqueness of the Icelandic state-owned broadcasting institution model and the challenges it confronts staying relevant as a media institution. This is a challenge that all media organizations confront these days. What is unique about RUV is that it receives both state funding and private sector advertising revenue, which I understand makes it the only such state-owned company of the Scandinavian Network of state broadcasters. It is evident, that RUV is doing very well in a healthy competitive environment, judging by the popularity of its programming. Despite my best efforts, I could not get anyone to reveal what will be in this year’s Áramótaskaup. second season in Iceland. The visit gave us the opportunity to highlight how the American television industry partners with the Icelandic film industry in producing very popular and successful shows. We drove up to the Höfðabrekka glacier to meet with the producer, director, and some of the actors during filming. 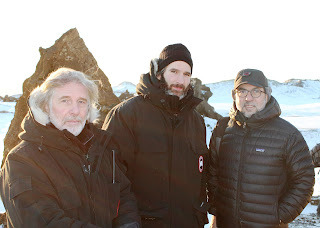 It was a lot of fun to watch some of the scenes being filmed against spectacular, but very cold, Icelandic scenery. I nearly froze during the visit and I can’t figure out how the crew managed to stay warm throughout the entire day. Can’t wait until the second season of the program starts. One of the interesting aspects of being an Ambassador is that one gets to conduct serious business and occasionally have fun along the way. 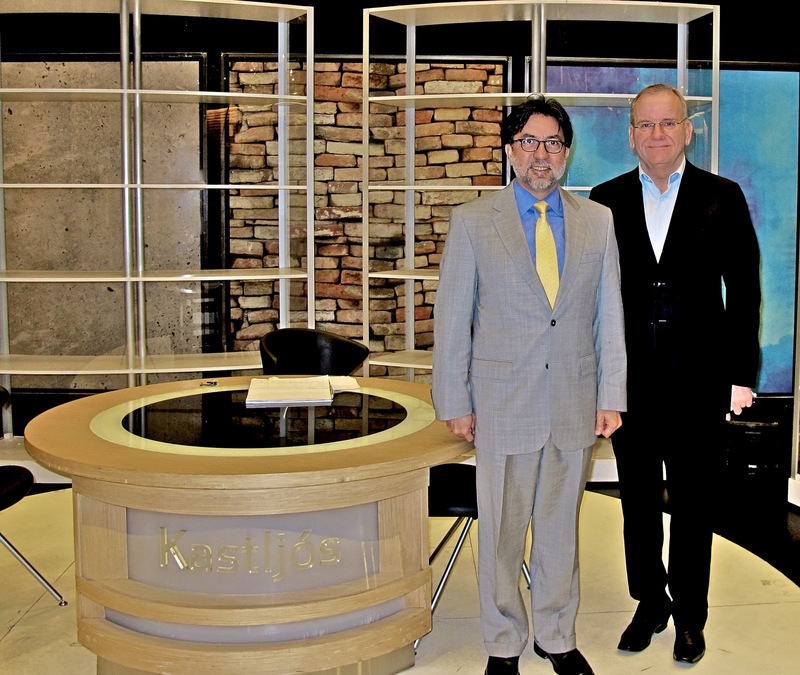 Yesterday, I had the opportunity to visit the company 365, one of Iceland’s important media conglomerates. There was a real “electricity” to this hub of print, broadcast, and internet media. One learns a lot about a country by observing its media institutions. As I was given a tour, I met two of Iceland’s best known TV personalities, Sveppi and Auddi, as well as Hemmi Gunn. I also recognized many famous faces from Stöð 2 news and “Ísland í dag.” I really enjoyed this part of the visit. This weekend, I had the pleasure to join the Thanksgiving Dinner organized by the Fulbright Alumni Association at Nitjánda in Kópavogur. It was a fun-filled evening of music, dance, camaraderie, and reflection. We were all sharing that moment thanks to the vision of the late Senator William Fulbright, who established a program designed to increase the understanding between the people of the United States and the people from other nations. In the Icelandic/U.S. context, over 1,300 grantees from Iceland and the United States have had the opportunity to study, teach, or carry out research in either the U.S. or Iceland. 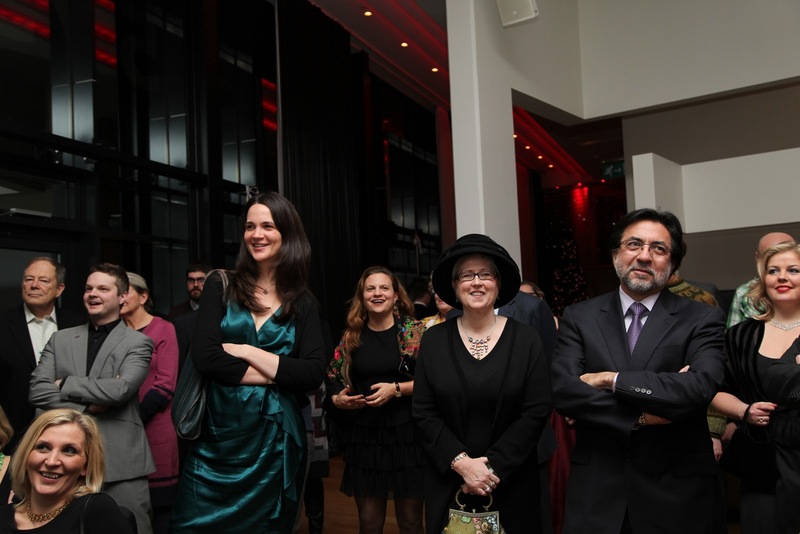 At the event we had artists, journalists, musicians, lawyers, diplomats, engineers, psychologists and many other professions. Seeing such an impressive group of Icelanders and Americans conversing, sharing a meal, and working together to strengthen the ties between our countries was an inspiring experience and one that reminded me how Icelandic and American societies share the core values that identify our nations.